In recent years, the nature of conflict has changed. Through asymmetric warfare radical groups and weak state actors are using unexpected means to deal stunning blows to more powerful opponents in the West. From terrorism to information warfare, the Wests air power, sea power and land power are open to attack from clever, but much weaker, enemies. 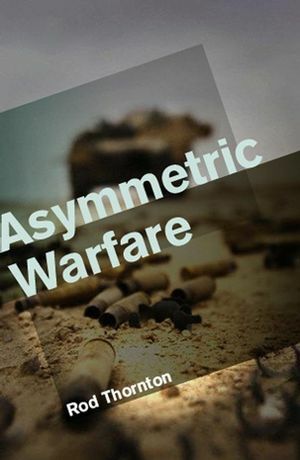 In this clear and engaging introduction, Rod Thornton unpacks the meaning and significance of asymmetric warfare, in both civilian and military realms, and examines why it has become such an important subject for study. He seeks to provide answers to key questions, such as how weaker opponents apply asymmetric techniques against the Western world, and shows how the Wests military superiority can be seriously undermined by asymmetric threats. The book concludes by looking at the ways in which the US, the state most vulnerable to asymmetric attack, is attempting to cope with some new battlefield realities. This is an indispensable guide to one of the key topics in security studies today. Rod Thornton is lecturer in Politics and International Relations at the University of Nottingham. 1. What is Asymmetric Warfare?. 2. The Terrorist Asymmetric Adversary. 3. Asymmetry and Information Warfare. 4. Asymmetry and Air Power. 5. Asymmetry and Sea Power. 6. Asymmetry and Land Power. 7. The US Military and its Response to the Asymmetric Opponent. Concludes by looking at the ways in which the US is attempting to cope with the threat of asymmetric warfare.